Have you broken 1 of these? Then you are guilty of breaking all of them. For the 4th commandment is only ONE of the TEN commandments of God. Do you keep the other NINE perfectly? Jesus said the thoughts count as much as the action. If you even think about sinning, to God its like you committed it already. Indeed the Old & New Testament both say the thoughts count as much as the action. So are you keeping all 10 of the 10 commandments perfectly in Thoughts, Motives, Intents, and Deeds? ​This is the correct response. For the Bible says if you break even one of the Laws, its as if you broke them ALL. For whosoever shall keep the whole law, and yet OFFENDS IN ONE POINT, he IS GUILTY OF ALL. 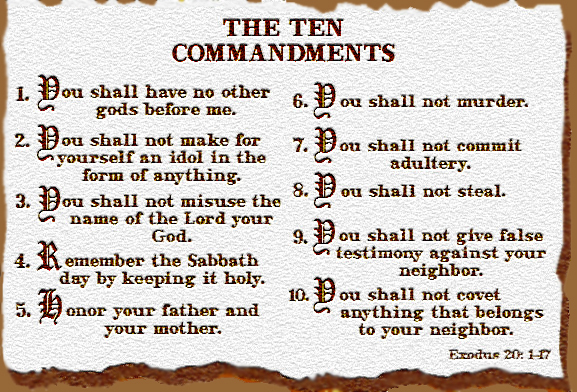 ​Under that circumstance what use is keeping the 4th commandment when you are already guilty of breaking all 10 commandments? Your rigid sabbath keeping is as pointless as the Pharisees, who kept the sabbath perfectly yet offended the 6th commandment "Thou shalt NOT MURDER." when they murdered Jesus of Nazareth. Sabbath keepers need to keep the WHOLE law not just 1/10th of it!! The point is NONE are ever good enough to even keep the whole law, at all times. Even sabbath keeping doesn't help when we constantly offend every other commandment in the Law of Moses. Instead Jesus, who claimed and proved He was God himself, is the ONLY one perfect enough to cover ALL OUR SINS (past, present, and future). Obedience(Works) of the Law can not save!! This is a common theme with all works based gospels. We see it in the Catholic faith+works gospel and we see the same in the Sabbath keeper's gospel of faith+works gospel as well. However the Bible makes it very clear Obedience to God's Law can not save. 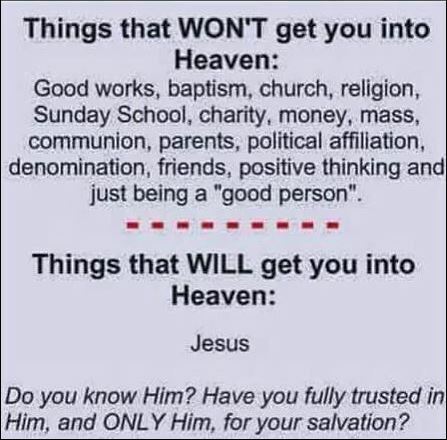 Won't you stop striving but only managing to keep 1/10th of God's Law and TRUST/BELIEVE upon the divine Jesus of the Bible who took care of ALL your sins? Only the Jesus of the Bible was able to perfectly keep ALL the Law of Moses. It is He whom you must place all your trust in to have everlasting life. Won't you do that today.